deposits and is therefore ideally suited for rails. 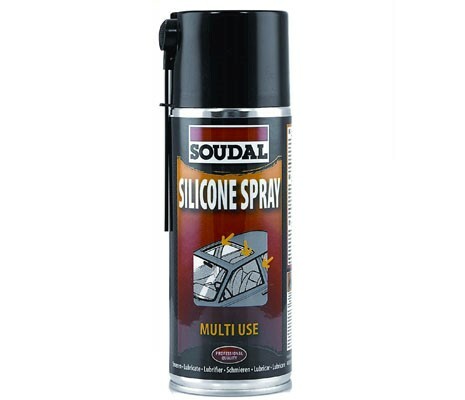 Silicone spray also creates a water-repellent layer and protects the electric wiring of cars, engines, lawn mowers, etc. from moisture. Gives plastics and rubber a glossy finish. Applicable within a wide temperature range: -40 °C to +200 °C. Not to be used for brake drums and brake discs. Treated surfaces cannot be painted. – Ideal application temperature from +5°C till +30°C. – To improve accuracy, change white nozzle by the black one.